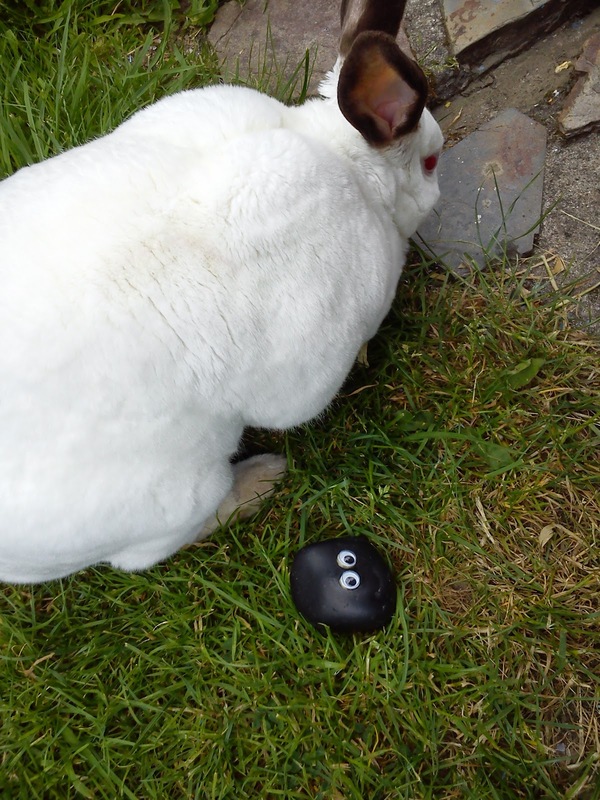 Speedy the cheeky house bunny: Shopping around the world and Bashfuls adventures from the weekend! And Disapproving Bun Day! Shopping around the world and Bashfuls adventures from the weekend! And Disapproving Bun Day! First we are joining Bacon and FozzieMum's Shopping around the world! Interesting to see how everyone compares! 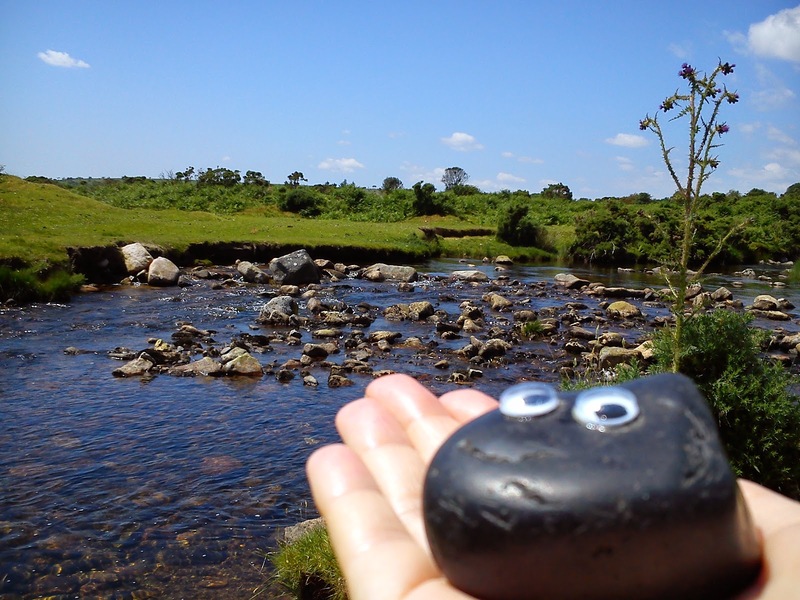 Now on to our weekend round up!Mum and Dad took Bashful to their favourite spot up on the moors a place called Cadover Bridge for a walk sunbath and dip in the swim pool in the river. He even got to see some Dartmoor Pony's but they were to far away for him to meet them but Mum said next time! You can just make them out in the distance! 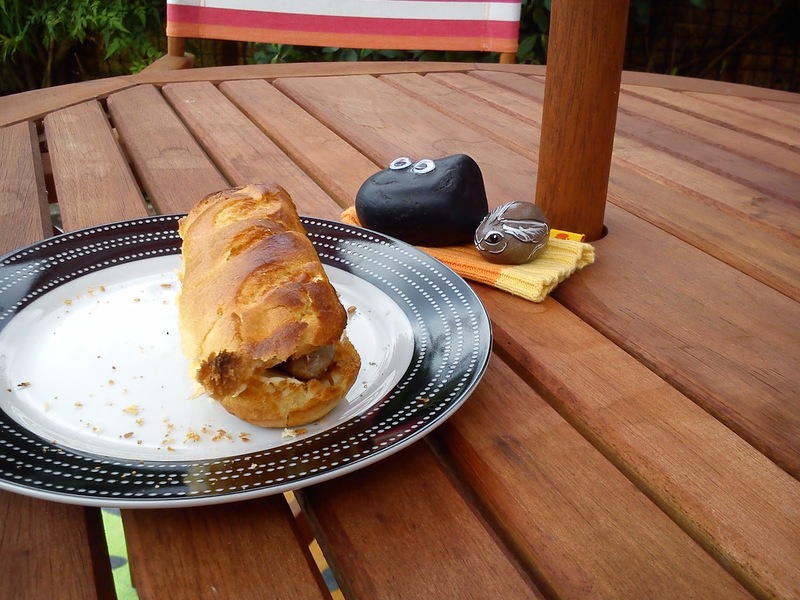 Then Mum and Dad did a nice snack posh meat free Hot Dogs in Brioche Rolls!Which Bashful shared with Pebbles! Then we did lots of playing in the garden together! Hehehe I thought I would give Bashful a little bath! Mum and Dad also went to Meavy Oak Fair which is a village fair with stalls and games food and drink and a 7 mile race and a dog show but Mummy said it was to hard to take photo's as there was so many people she didn't want Bashful getting hurt so she didn't take any but mum said the Bashful enjoyed him self and he even sneaked a sip of her pear cider!And next week mummy said if Bashful is good she will take him to work with her! 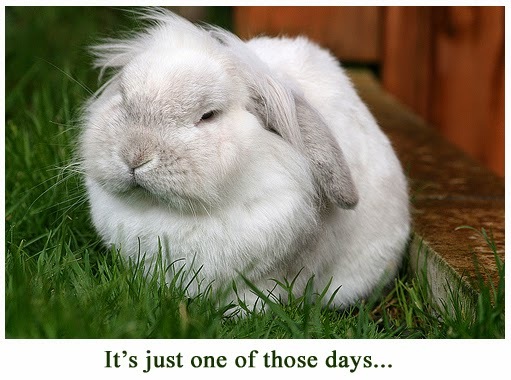 I know Wednesday is Disapproving Bun Day so here is a bunny Meme that mummy found its from www.furrytalk.com! Don't forget we still need photos of you bunnies best disapproval so don't forget to send them in to my mum at [email protected]! That is one funny bunny! Hey Bashful, you are sure out n' about lots! Looks like Bashful had a great time! Asked the peep 'bout those prices. The only thing she could think of off paw was the butter. She says a pound of butter here 'might' be $3.99... on sale. If you're super lucky, you might find it on sale for less. More likely to be five somethin', though. dood !! we cracked up !! pebbles...sew, does this meen bashful & pebbles will be gettin married sum time soon !!!! ♥♥ N thanx for sharin yur pick sures...de moor is awesum ! Yow Meme iz definitlee a dizapprovin bunneh n we give her 444 pawz up fer such a grrreat photo! Ya shure are takin grrreat care of him Speedy!! Wishin eberyone a happy nite n a grreat day tomorrow! My son and I have had fun this morning looking at the pictures and talking about The Moors and Mr Holmes. Also that fair sounded like huge fun. And how nice of you to give Bashful a bath! hahaha! Aaaaw meez missed shoppin' day. 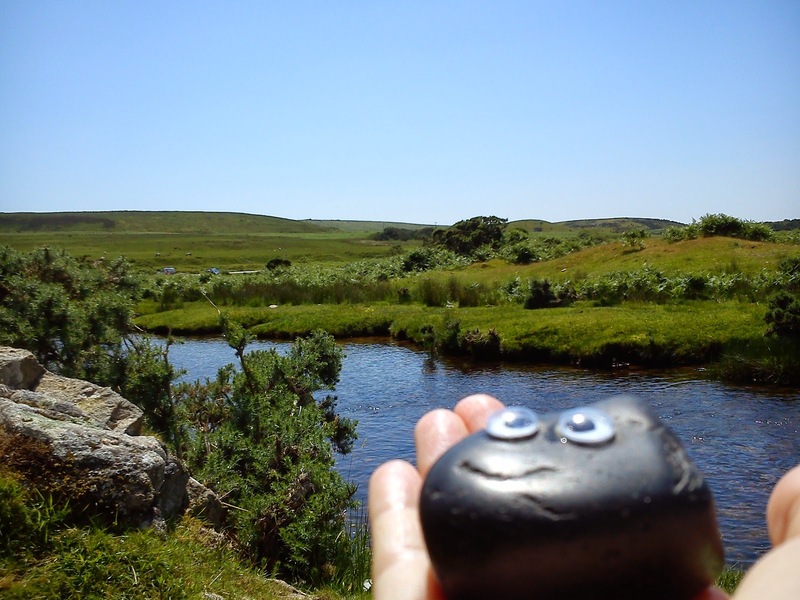 But da west of yous posty is vewy cool. Luv da fotos. That is one disapproving bunny! Please tell Bashful I have enjoyed seeing pictures of his visit. Bashful is surely easy going! Nice trip for Bashful, wonderful photos from this adventure. You look so good on the green grass Speedy! Looks like you and Bashful are having the most lovely time! Looks like Bashful had a terrific day! Looks like you're having a wonderful time there. Enjoy. Did you taste any of the Brioche Roll when you gave Bashful a bath? Heehee. Hey there Speedy - Shiloh'n Diva Shasta here. So how come u didn't git to go with Bashful? That looked like it wuz a furry much good time - we Beaglebratz don't git to go very much either. That wuz nice that u gave Bashful a clean-up after all the play-time. 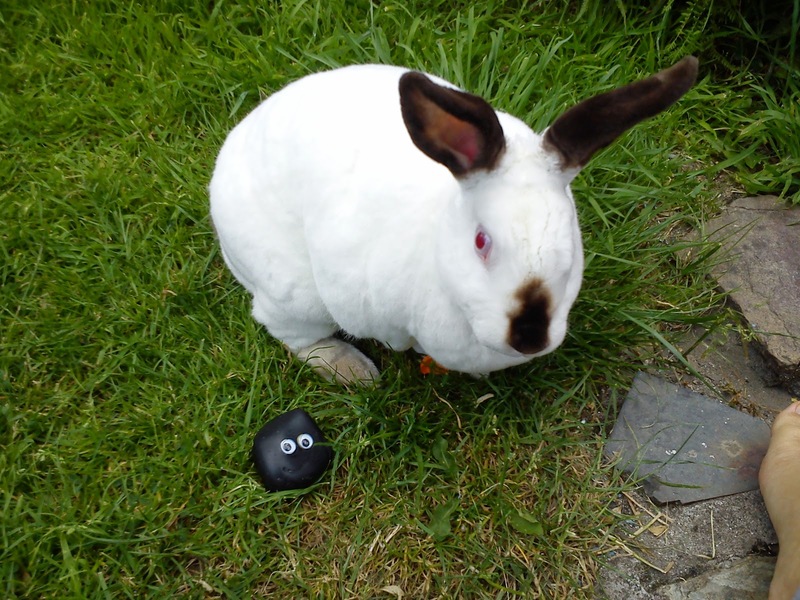 Oh an'that dissaprovin'bun - that bun duz not look furry much happee at all. I would love to partner with you. 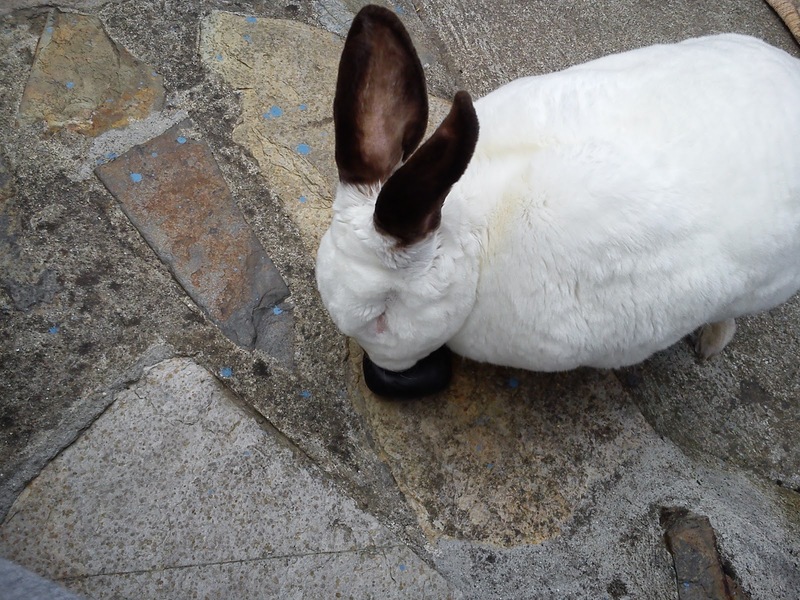 I have enjoyed a lot of your blogs and if you didn't know I am pup the rabbits partner too! So please check out my blog and it includes all the details about partnership if you want to! Looks like Bashful had a very good day at Cadover Bridge. 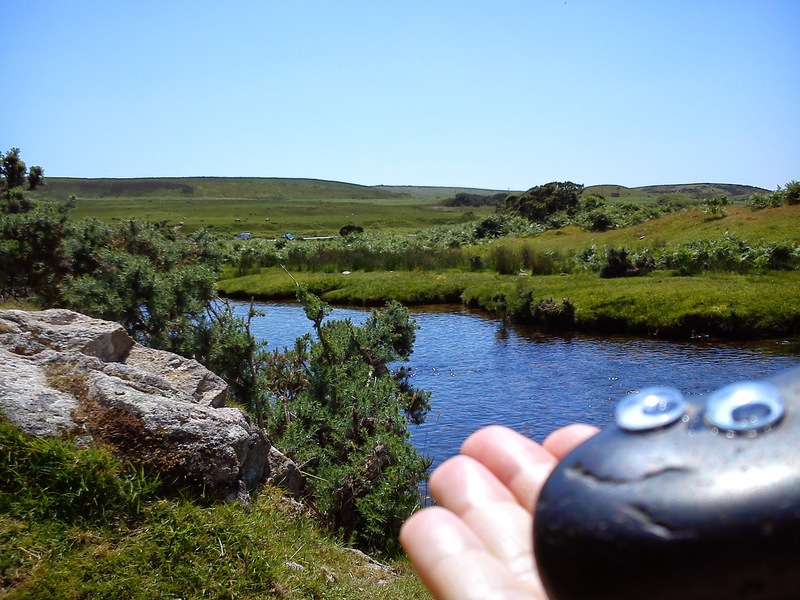 My mum used to ride her horse out to there a lot and take a picnic with her for both of them. She used to ride to Grenofen and The Pimple at Tavistock too. 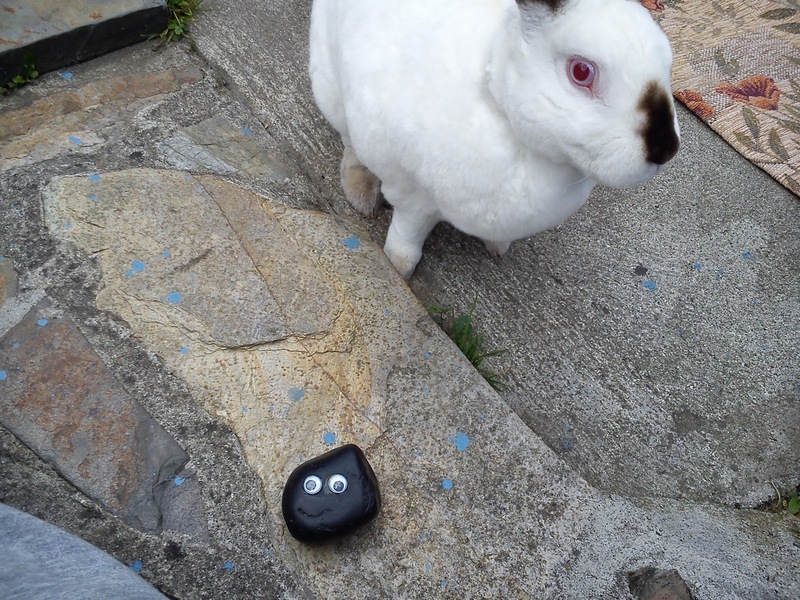 Que guapo está observando la piedra!!! What? Oreo's for 54 pence? I come over Speedy and buy the whole content of your store :o) I never saw that famous pony' s for real... Bashful is a lucky guy, even when they were not close. Speedy's Kingdom is beautiful, huh?